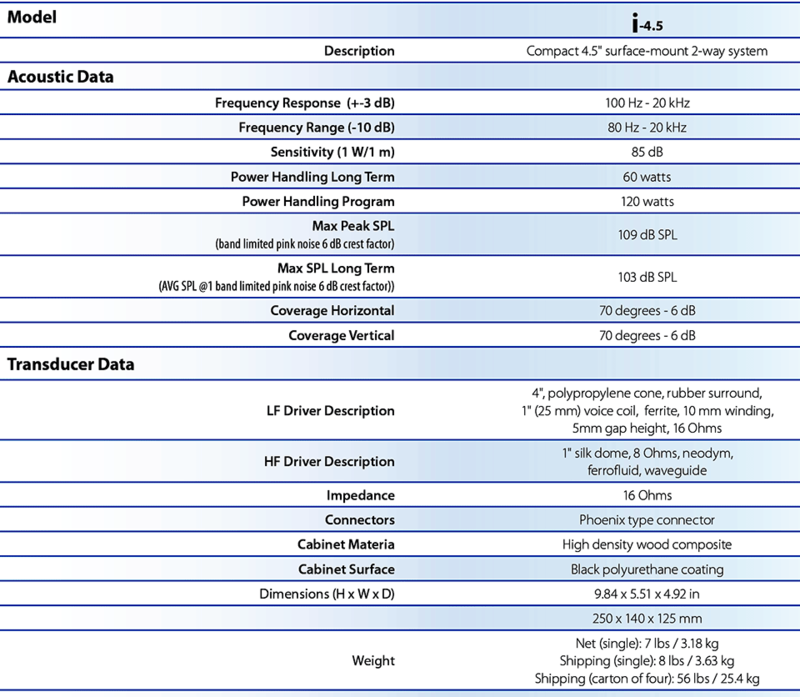 i-Class systems are designed for AV contractors seeking a high-performance alternative to plastic box loudspeakers. By combining professional-grade components and rugged wood enclosures, i-Class models deliver sonic performance far beyond their competition. 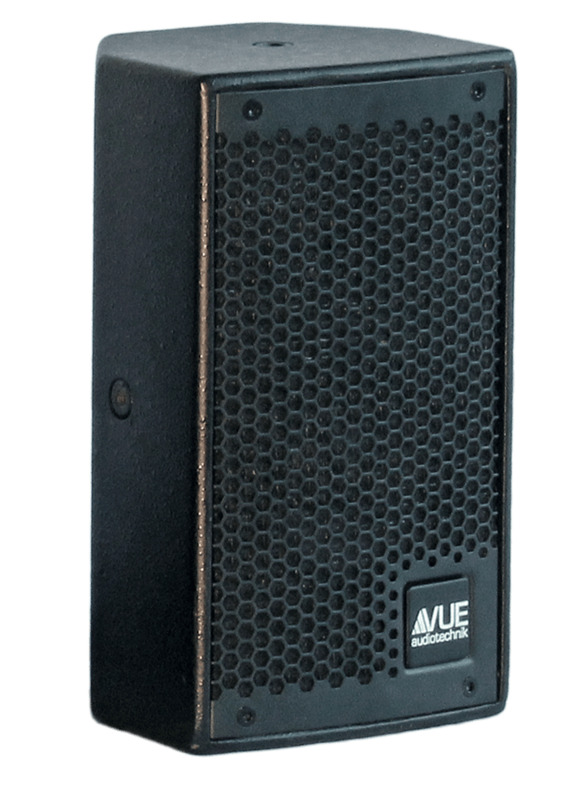 The i-4.5 is a compact, two-way loudspeaker designed specifically for near-field applications where quality sound reproduction and value are paramount. Professional-grade drivers include a single, 4.5-inch woofer and 1-inch, silk-dome, ferrofluid tweeter. 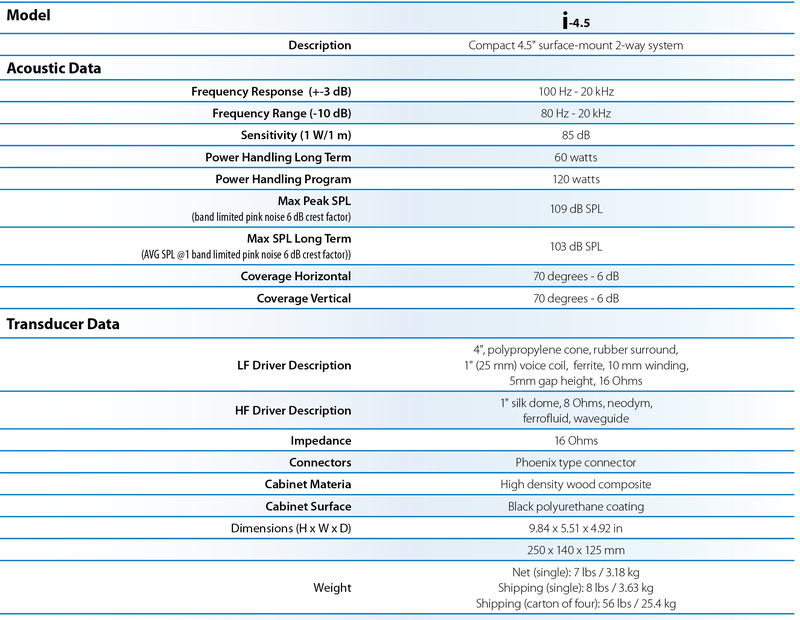 Both drivers are mated to a high-quality crossover network and housed in a robust, high density wood enclosure finished with a rugged, industrial-grade coating. 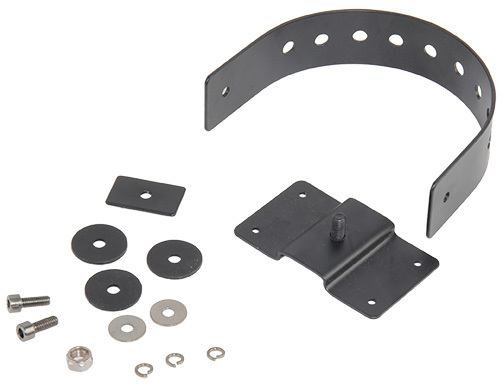 An angled design ensures easy installation in corners or on flat surfaces using the included mounting hardware. Connections are quick and easy thanks to recessed, phoenix input terminals. 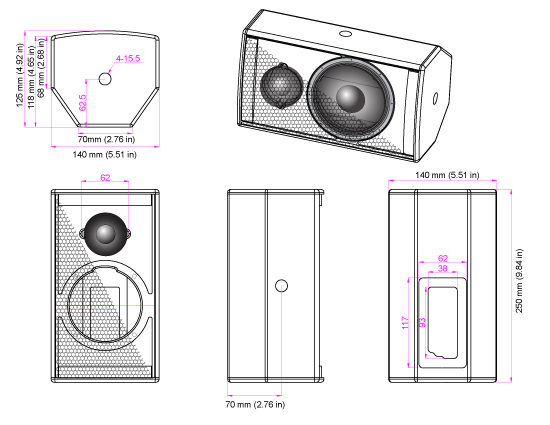 i-4s are also ideal as satellites with any of the i-Class subwoofers.